“Could you recommend me a curtain style that is simple, yet stylish and contemporary?” 10 years ago when customers asked me a question like this, my usual recommendation would be ‘Eyelet curtain’. For the same question, today my answer will firmly be ‘Ripplefold curtain’. Ripplefold curtain style is a drape that has the look of a continuous wave when opened or closed, creating soft and uniform ripple-like folds that flow smoothly from one end of the track to the other. This new style creates a look that is slim, clean, elegant and stylish for modern contemporary spaces. 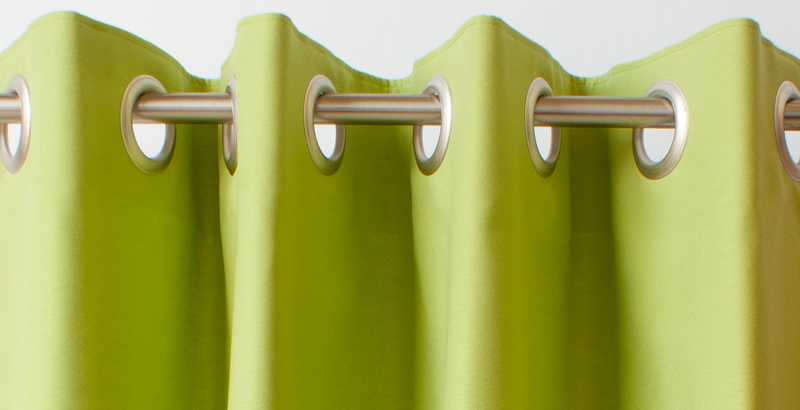 EASY MAINTENANCE—Ripplefold curtains do away with all the fuss and muss of conventional pleats and hooks. They can be easily removed from the snap tape for cleaning and ironing. And easily fall back into folds when they are re-hung. This easy maintenance factor makes them highly suitable for both commercial and residential applications. 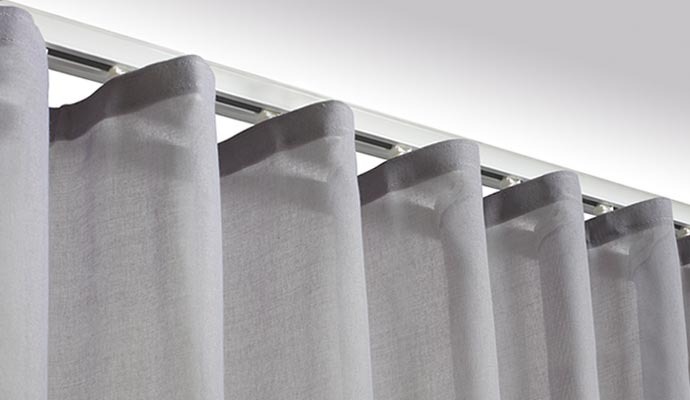 ECONOMICAL – Ripplefold curtains require less fabric usage than conventional pleated draperies. For 100% fullness, 1 ft of curtain track requires only 2 ft of fabric compared to many pleated curtains which require 2.5 ft of fabric or more. Moreover, the mechanism of Ripplefold is about 20% cheaper than that of Eyelet curtains. TIMELESS ELEGANCE— The folds look identical and beautiful from inside or outside the room giving a timeless elegant and stylish minimal look. This feature makes them ideal for room dividers or privacy screens. MORE LIGHT –Ripplefold curtains stack back to the very end of track taking less space than pleated curtains so that more glass is exposed and more natural light can come in, making them most suitable for living room applications. Ripplefold curtains are especially suitable for big houses with multiple large and tall windows such as duplex windows.